Our professional staff is experienced with beginning through advanced instruction and enjoy working with youngsters as well as adults. -All instruments and voice welcomed! - Ages 10-15 or younger by staff approval. 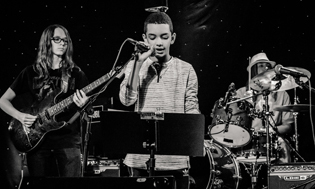 The House of Music began offering rock band camps back in 2009 at the House of Music have enjoyed three weeks of Rock Band Camps every summer! 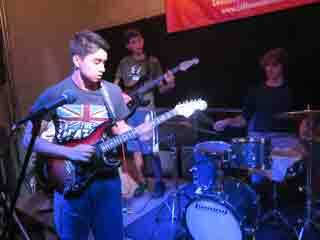 We will place rock campers with like-minded and skilled fellow rockers. Sign up with your buddies, your existing band or come meet new friends and join the band! We'll end the week with a big show at Famous Dave's in Calhoun Square where all your friends and family can come cheer you on! 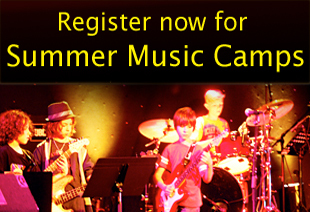 Each band will learn songs within the campers' repertoire, classic rock standards or current favorites. Learn to promote your band with a photo shoot and social media. We'll learn to work as a group and apply the building blocks for a great performances. Each band will be able to accommodate different levels of playing and will be coached and directed by teachers from the House of Music staff. *If paying by check please make check payable to the House of Music and mail to 4948 Washburn Ave. S, Mnpls MN 55410. LHHM students receiving discount must pay balance via check. **Cancellations within 30 days of the camp will receive a refund minus a $75 cancellation fee. Cancellations prior to 30 days will result in a $15 processing fee. ROCK U: MAKE IT FUNKY! This camp led by Charlie Smith will explore the funky side of playing in a band in a fun and welcoming environment. We'll explore the grooves, tight rhythms, catchy horn arrangements, and upbeat energy of some of the hits of funk, disco, and R&B. Some of the artists covered will be James Brown, Prince, Stevie Wonder, Donna Summer, Earth Wind and Fire, the Commodores, Kool & the Gang, KC and the Sunshine Band, and the Meters. To end the camp, we'll put on a final performance in the evening of the last day. The band is open to all horns and wind instruments, vocalists, keys, drums, bass, and guitar. Participants should have at least one year of experience on their instrument, an open mind, and a positive attitude. Camp fee: $290. $75 non-refundable deposit to reserve your child's spot. The balance is due prior to the first day. Payments can be made as cash or a check made out to Charlie Smith. Teacher Charlie Smith has played in over 20 bands in the Twin Cities since 2007, performed at notable venues like First Avenue, and toured the country. He has a B.A. in Music and has taught at the House of Music since 2011.